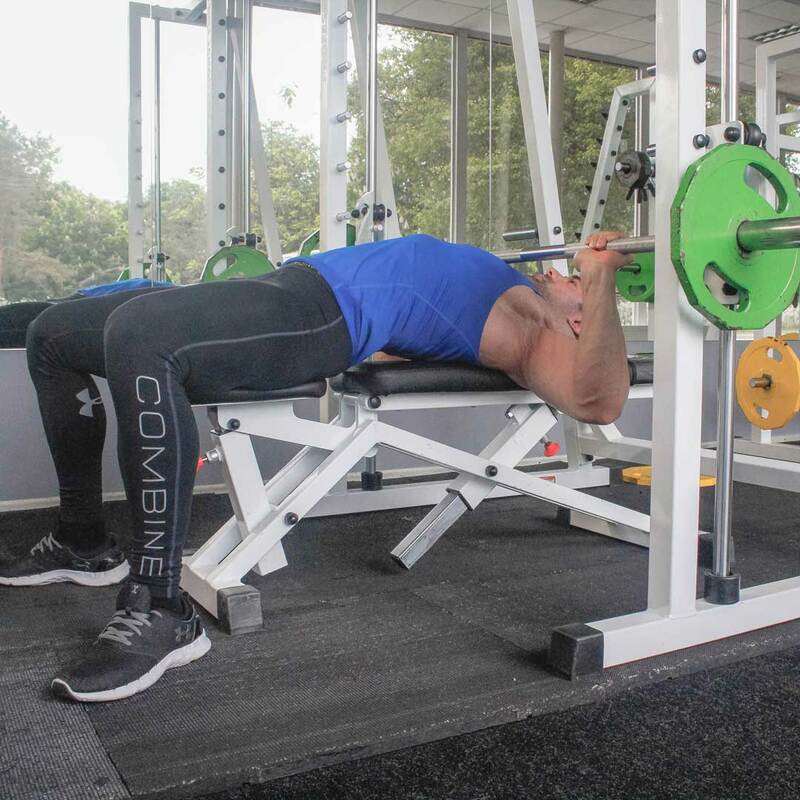 Adjust the barbell height so that you can reach the bar with your arms almost fully extended when lying down on a flat bench. 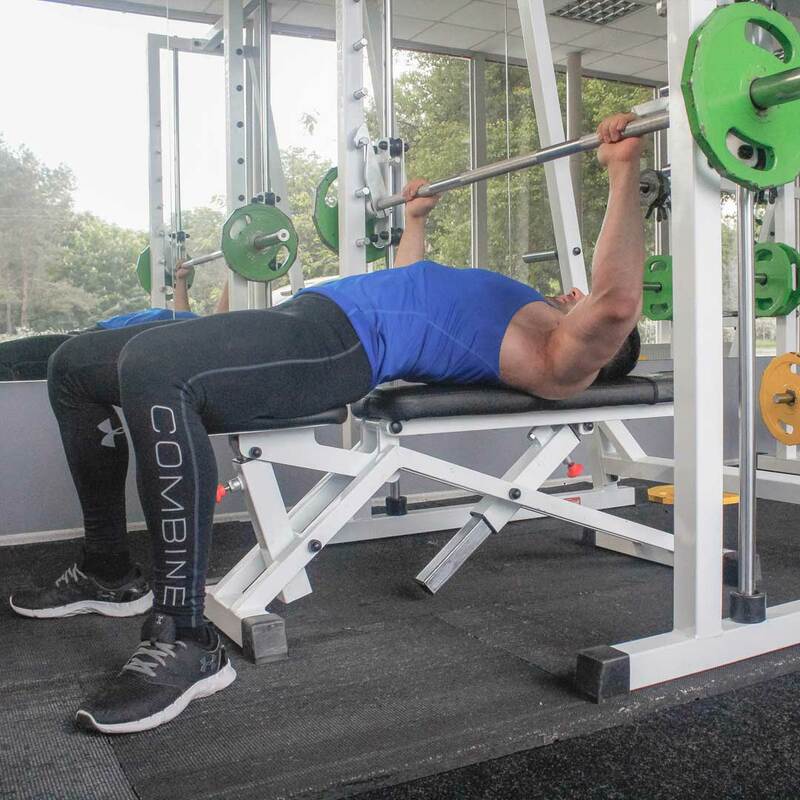 Set the appropriate weight and lie on the flat bench. Grasp the bar using a grip that is wider than shoulder width, unlock the bar and hold it straight over you with your arms locked. This will be your starting position. Inhaling, slowly lower the barbell until the bar touches the middle chest.